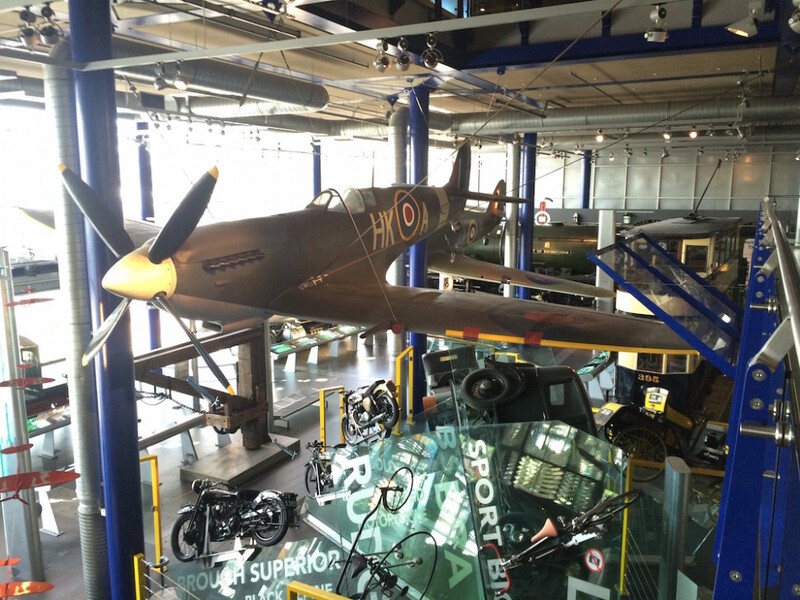 Today we went to the Thinktank Birmingham Science Museum, located within the Millennium Point complex on Curzon Street. The museum shares the Millennium Point building with Birmingham City University. It is in the Digbeth district. This is an old industrial area in the south of the city. But now we can see new infrastructure under construction and work to regenerate the old industrial buildings into apartments and offices. There are two general collections: on the one side science and industry, and on the other side natural science. In the science and industry collection we saw vehicles to transport, machines and mechanical devices, technological development. In the natural sciences we saw an important collection about zoology, botany and geology. But we visited the Thinktank Museum from the past to the future, and this was even more interesting. My English teacher Steph filled her car to go to the city centre. We were accompanied by Estela, her son Aaron and his friend Vicente. Thinktank Birmingham Science Museum caused great expectations and I think its impossible to disappoint anyone.